World Showcase at Walt Disney World's Epcot is one of my favorite places in the entire world. Last month I started working on a new series for the Kingdom Konsultant Travel Blog in which we'll spotlight one country every month from World Showcase. Grab your viking hats because today we're taking a voyage to visit the Norway Pavilion! One of my favorite things in the Norway pavilion is the stunning architecture. The Stave Church especially. What many guests don't realize is you can go inside of the church where there is an exhibit called, "Vikings: Conquerors of the Seas." In here you will find artifacts, weapons and a look at people who played an important role in Norway's history. If you're looking for something a bit more immersive, check out Maelstrom. Here guests can board a Viking ship and sail the high seas through the fjords of Norway. Along the journey, you'll have encounters with creatures of Norway, both real and mythological. Polar bears keep a watchful eye on passengers sailing through their territory while trolls come out of hiding to send you away! At the end of your journey, you're dropped off at a port in a small Norwegian village where you can watch a short movie. For the shoppers in the group, The Puffin's Roost is great store to find everything Norway! The back of the store has a large variety of Norwegian apparel including jackets, sweaters, hats and gloves. The mid section of the store features trinkets and toys. Oh, and a very large troll. Don't worry, he's nice. And he makes for a great photo op! Moving toward the front of the store it's hard to ignore the fragrant scents of the Norwegian perfumes for sale. The Puffin's Roost also sells beautiful jewelry and delicious candy. It's a great place to take a break from the Florida sun and do some shopping. If sailing the seas and shopping has worked up an appetite for you, the Norway Pavilion has two great dining options! For a lighter snack, check out Kringla Bakeri Og Kafe. The menu here has a lighter fare with sandwiches such as the ham and apple, roast beef or salmon and egg. Fruit cups, mixed salads and a vegetable torte are available as well. Of course, there are plenty of sweet treats to choose from as well! 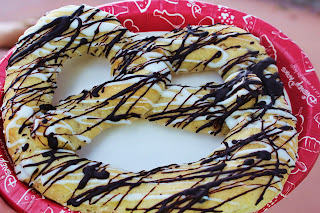 Bakery goods such as the Kringla Sweet Pretzel, Chocolate Mousse Cake and the ever so popular School Bread are just some of the delicious items on the menu! Coffees, lattes and cappucinos are also on hand for a little pick me up. If it's a larger meal you're in search of, Akershus Royal Banquet Hall finds its home right here in the Norway Pavilion. Akershus is one of the most popular restaurants in Walt Disney World. Here guests can dine with Disney Royalty for breakfast, lunch and dinner. Princesses such as Aurora, Belle, Cinderella, Ariel and Snow White join guests for a Norwegian inspired cuisine. For more information, you can check out Agent Heather's in depth look at all Akershus has to offer (including gluten free options) here! 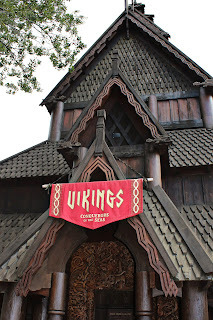 I find Norway to be one of the most charming stops on a World Showcase tour and I hope you will too! 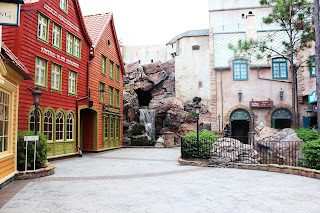 What is your favorite part of visiting the Norway Pavilion?